On January 22, the anniversary of Roe vs. Wade, both the New York State Senate and the Assembly voted on and passed the radical “Reproductive Health Act,” numbered S.240. The Governor immediately signed and celebrated the new law. 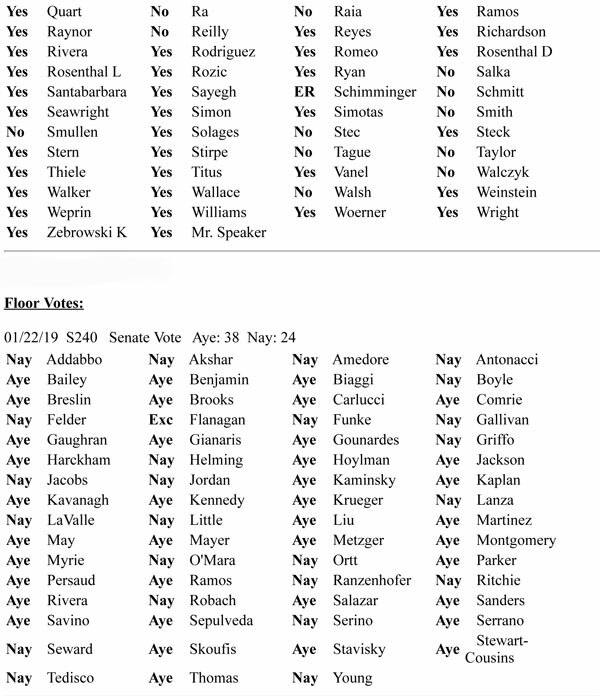 To see how your legislator voted check the lists below. A “No” or “Nay” vote is a pro-life vote. A “Yes” or “Aye” vote is a vote for abortion expansion. (ER indicates the legislator was excused from the vote.) 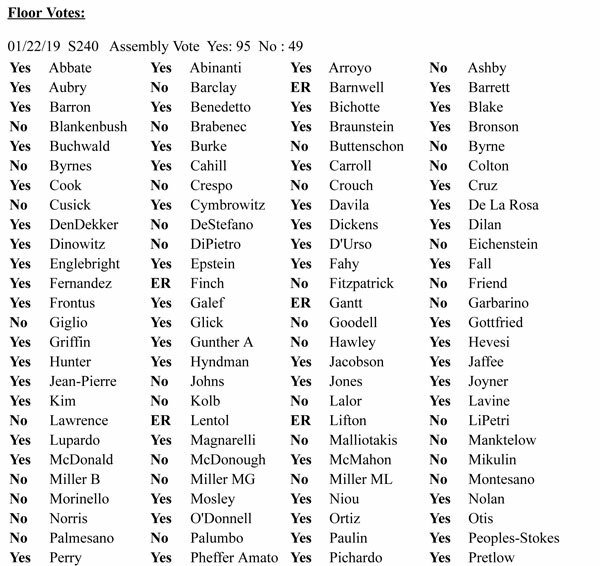 The Assembly vote is listed first; the Senate vote is second.